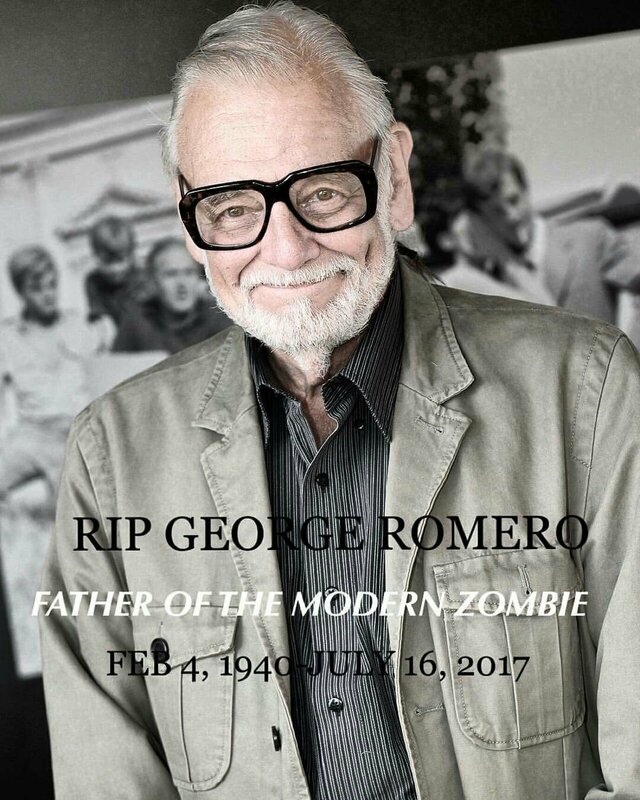 I give mine Rescpt of to family to George Romero he favorite director module day era in film and television i enjoying was growing up watching films and television . Yesterday we lost the father of the modernization era zombie genre of films and tv. Rest In Peace George Romero. Bronx born, Cuban-Lithuanian creator of 1968’s Night of the Living Dead which spawned the modern culture of the zombie apocalypse we live in today’s horror film subgenre. He was head time ask filmmakers enjoy watching night of living dead i honestly still scary gourgie and bloody film’s all time’s still scary would i watching in mine apartment . Thanks you George Romero for memories give the industry ask a great filmmakers . This entry was posted in FANTASY, HOLLYWOOD NEWS, horror movie news by Movie talk news with Antonio Gutierrez. Bookmark the permalink. https://polldaddy.com/js/rating/rating.jsTry to type in a way people can understand what you are saying. It’s not that difficult.